Today we are going to talk about a bit of a sensitive topic. Should a repair shop be able to keep your car if it is unsafe? Let me set the stage. A customer brings their car into the shop. The mechanic takes it on a short test drive, and finds the brakes barely work. After inspecting the car, the mechanic finds that the brakes are leaking fluid. This prevents the brakes from engaging. It is only a matter of a few miles before the car will loose all braking. As you might guess, this is a very serious situation. I don’t think that I need to go into detail about how not having brakes is a bad thing. Not only does it endanger the driver, but all the other drivers on the road. Now the words that scare everyone come out of the customer’s mouth “I am not going to fix the car”. Okay, we have established the fact the car is 100% unsafe. We also know that the customer is not fixing the car. What happens next? What were to happen if a service station attempted to keep a car. I don’t think it would take very long for the situation to escalate. I am sure that law enforcement would get involved. Laws do very from state to state, but I could not find any state that said a service shop could keep a customer from there car. In fact I seemed to find the opposite. Shops can not get in the way of a customer taking their property. It is really that simple. This is a very serious situation. Best case the customer gets the car home and parks it. Giving them time to get the car repaired. Worst case, the customer gets into an accident. You can fill in the blank on how bad that could be. I was just at the service place. They didn’t tell me that it was unsafe. I don’t know anything about cars. I trusted them to keep me safe. The customer has a point. They do trust the service department to keep them safe. However, the customer the one that makes the choice to repair or not to repair. In a perfect world, no cars would ever break. If they did break, everyone would have the time and money to fix them. So how does a shop handle a situation like this? If after informing a customer of the severity of the situation, they decline the repair. The shop will add a special note to the customers repair order stating the issue and the car in “UNSAFE”. Some refer to this as “red tagging”. The customer will then have to sign saying they understand. What do you folks think? Should a shop be able to keep an unsafe car from leaving the lot? Or would shops use that as a “scare tactic” to strong arm customers in to paying for repairs? Post up your thoughts in the comments below. This is one that a strong case can be made on BOTH sides. Don’t forget the enter the contest to win a Snap-On magnetic tray. All the details are listed at the bottom of yesterday’s Shop Shots post. I will pick a winner on Friday 10/05/12 in the evening. The customer would have to sign this before I’d release the car to him. And what if the person pay for whatever work you did but refuses to sign the waiver? Then would you still keep the car? That is a situation that no one ever wants to be put in. If we are talking about regular passenger cars, I think most places will need to let the customer leave. If we are talking about professional vehicles, long haul trucks, cabs, and the like, I think they would be held for repairs. Or the company that owns the vehicle would be contacted. There is always the option of alerting the police. If a car is unsafe, do you think alerting the authorities would be a wrong move? To me that is a really tough choice. It is one I hope I never have to make. I would get them on camera and call the law or take my car by force a thief is a thief and if they touched me at all I would use deadly force. This day in age, I’d add that the shop’s person in charge of releasing the car or service manager if it’s a bigger place, just not a dealership, should also get the person on video acknowledging that the car is extremely unsafe, or request that they call their preferred towing company to remove the car from their property. I had an oil pan damaged by another shop years ago, and when at the dealer for inspection, they noticed it and would not let me take my car. the pan’s plug threads were stripped. it held oil, had done so just fine for over 3 months since it had happened, only had not been noticed because it did not leak oil enough to notice where I was parking daily and I wasn’t needing to add from above. matter of fact, the plug would NOT come out. the place that did the damage wanted to fix it but the dealer wouldn’t let me take my car. I get why, but it had been like that for 3 months and a 5 mile drive to the place to have it taken care of on their dime would have been much better. in that case, I think the dealer was being extra hard and wanted my money. hell, given the alternative to allow me to tow it there would have even been better. I’ll pay a $75 tow to not spend $500 at a dealer that someone else will make right for free! on the liability side of things, if I was the mechanic/shop, I’d want more than some initials backing me up if I let someone drive away with something as dangerous as the original post’s scenario. it’s not like you want to turn a customer in for something, but I’d almost want to be able to report it to the authorities to ensure that if they left, they did take care of it asap, not 20, 50, 100+ miles later. I can’t believe they would not let you take your car over an oil leak! yeah. the place that did the damage stripped the threads of the pan. we all know how often that happens on these cars. because they could not back it out, OR secure it, they wouldn’t let it leave. I wish I would have thought to tow it to the other shop back then, but I was still a little naive and looking back I think I was bullied by the dealership. things is, this was not one of those “I’m a danger to me and everyone else on the road” kinds of things. it was a “if my plug happened to magically fall out—which the shop couldn’t manage to make happen WITH tools—then I’d drop a bunch of oil, be the exxon valdez of whatever puddle I happened to pass over and kill all the micro-wildlife in said puddle, and risk burning up my engine in the rest of that 5mi trip” kind of thing. just ended up costing $500 when it could have been free, or even the $75 tow which my insurance would have paid back anyway. should the shop keep the car? yes,no,kinda,probably. i like this gray area questions. i think technically yes, the repair shop should keep the car. however we both know that will not happen. i think 40 years ago the shop could have done it. now we have laws, csi and management that folds like a cheap suit. add that to customers that dont care for their vehicle or cant afford the repair this will happen. the best is if the said vehicle has a car seat in the back. Interesting discussion. No way should the shop think of keeping the car. Covering your rear with a form letter is unfortunately the best solution. Walk through with a witness(even though they work in the same shop as you) while you explain the situation to them is also probably a good idea. Car I drove wasn’t “unsafe”, but had a slow leaker in a tire. Unfixable because of where the nail was. Got a lesson about all wheel drive cars and tires that day, but didn’t believe the tire place (thought they were trying to con me actually). Turns out they weren’t. They had me sign a form acknowledging I refused to have the tire fixed, and I didn’t mind. That is a sensitive topic indeed, and one that I’m sure occurs more often than one would realize. One question that comes to mind is “Would a repair shop really want to hold on to the car?” – assume that the shop could, and the owner left it. What would happen to the car after 2-, 4-, or 6-months later? Is it ‘abandoned’? A few solutions have crossed between me and my mom as we talked about this earlier, and while legal issues always came up, we collaborated on a few ideas. Finance: Let’s say the repair job is $1,500, the shop can finance the repair job for the customer, allowing them to make weekly or monthly payments on the repair. In the meantime, the shop can put a lein on the car in the amount of the repair until it is paid in full. In which, the shop drops the lein, and the car is safe to drive. Again, I’m sure there are lots of legal issue with these suggestions, but I think that could be a start? Absoutly love this topic!!! I agree since a shop cannot legally keep a vehicle, the cust should sign and have their car towed off of the property. If the cust wants to take their car to a local shop instead if having it fixed atbour dealership go ahead . But the shop it going to should make arrangements to have it towed. If its a safty issue and potently able to cause an accident then yes i believe a shop or dealership should be able to keep the vehicle unless the customer signs a waiver and has it towed out. Dont care if they “drove” it in. Just shows how nieve some people are. Start an auto reapir savings just for the safty related issues. Windows dont work who cares but the owner of the vehicle. But it the brakes fail who cares everyone but the dealership or independant shop get the dark cloud. This is in some ways similar to a problem that occurs surprisingly often in hospital emergency rooms when patients don’t agree with physicians about how severe or life threatening a problem may be. In that setting, there is standard legal boilerplate (varies somewhat from institution to institution) which care providers ask patients to sign if they wish to leave against medical advice (“AMA”). When patients refuse to sign, the staff carefully documents AT THAT TIME what was explained to the patient. That written documentation becomes part of the medical record for that visit. None of this, of course, prevents lawsuits in the case of catastrophic outcomes. However, properly recorded information makes it significantly more difficult for the unfortunate departee to take an institution to the cleaners for what is most frequently extremely unwise behavior on their own part. This is a very touchy subject. Every state is different. But I had an acquaintance of mine who owned a shop let a car leave and had the owner sign something that said that the car was unsafe and that they understood it should not be driven. The car left and got in an accident down the road and the driver ended up killing someone. Do not let a car leave your shop that is really unsafe, call the police and they will come down and take the plates off the vehicle and have it towed if need be. If you must, at your expense have the car towed down the street to a public parking lot. This way it left your business on a flat bed the way it should be. perfect example of the worst-case scenario, joe. 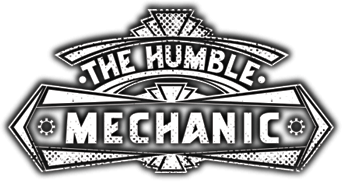 this has me wondering, perhaps it would be a good humble mechanic article to research. what states have what laws in place to handle these situations? if a person CAN lose a court case over it, then there needs to be some line in the sand that allows them to cover their own butts without being the bad guy and risk a terrible customer service situation by having to call the cops. imagine, what if this was your friendly mechanic who’d been doing your work, your family’s work, your friends’ work, etc., for YEARS. there’d likely be a handshake, and a “I’ll take care of it in the morning.” … and then boom, accident, both with major liability issues, when the shop might not have known what rights or obligations they had. I’m sure state inspection stations have some sort of guidelines, but I’ve never heard of anyone (apart from myself above) where their car was held and refused to be returned. what rights do you have as a shop to keep it? and what rights as the car owner to I have to demand that my car be given back? @Joe, That is awful! That really is the worst case scenario. It does not really surprise me that the shop got sued and lots. It does not matter how perfect the paperwork is done. The courts are always on the side of the consumer. I do think this subject needs more attention. I’ll add it to the list. I am really glad that it does not come up very often. It started with i – Phone and contains now gone after i – Pad 2; the reason- lack of availability. I am a service manager at a repair shop. I belive in no pressure sales and honesty. And to do whats right buy my customers. A customer brings u there vehicle and tell u they know theres a problem. They know theres a problem. And in most cases it would probably be some thing wrong with there brakes that would constatute being un safe. Or somthing with suspinsion. It should be a law if it could be proven or to be able to have law enforcement be able to prevent a customer from leaving in an Un safe vehicle. Case in point customer come in states they are haven brake problems. And of course they problem is greatly understated because it’s thought to eas the problem lol. ( It happens all the time oh it just started to grind and the rotor is almost gone.) So any ways do a full check up on car already knowing the car is in bad shape. Tech goes to take test drive and won’t even test drive it because stepping on pedal does nothing. Ie(bad booster) customers declined repairs fine said he wanted second opinion fine. Put car back together told customer he should get a tow truck because car u safe ( true comment well they work good enough he had been driven it like that for months he just pulled up on emergency brake! )(why we couldn’t get drums off) now he got mad and said I’m not paying for a tow truck so I documented my R O and signed the car over to him. Did not try to strong arm him just simply told him that he has no regard for any one but him self on the road my wife my daughter any of my family drive on these roads. He is a danger on the road. But we the professionals have no right to tell a customer that. We should have that right. Or call for the local sheriff to do so. I don’t care were he fixes he’s car just get it fixed. But some times people just think there the only one on the road and it’s not there responsibility to care. Sorry I went off there. Thanks for listening. It is tricky to deal with because as you say, laws vary from state to state. Either way, the car must restored back to a safe state before anyone drives it again. OMG!! this happened to me years ago. I was 19 years old and taking my car to the shop by myself for the first time. I thought the car was fine, I was just bringing it in for a tune up and to have the brakes changed when two hours later, they came out and told me that there were like ten different things wrong with my car and that they couldn’t release the car to me until it was repaired. Being the gullable, naive young teenage girl that I was back then, I actually believed them. I had to call my parents to come out and help me pay for the repairs. In total it cost over $1000. A week later I brought my car to my grandfather who is a certified mechanic himself. He told me that my car was fine, that it didn’t need all those repairs because he had looked the car over himself when my parents got it for me only three months earlier. He told me it was a scam that shops pull, especially when dealing with young, inexperienced drivers. They pull out all these “bad parts” that really aren’t bad at all and then they tell you that they legally can’t release the car to you until you get it repaired. I have to say, since that day, I do all of my own minor repairs, learning what I need to do by reading manuals and watching youtube videos. If I can’t get it done myself, I have a guy friend look at it for me before I take it in to any shop. Lesson learned. I’ve heard of people getting screwed by the mechanics like this. Bottom line, auto mechanics have screwed themselves by having bad reputations. No one would ever trust a mechanic saying “do this $1000 repair or i’m not releasing your car”… unless VERY naive. And forcing someone to sign a paper, Ha! As a customer, I’d never do that either! Not that it matters, by definition forcing someone to sign something to have their property returned to them is coercion and would never hold up in a court of law. Maybe if mechanics stopped trying to screw their customers and the were legitimately being altruist, then this could be a real conversation. But that is an alternate reality. I rarely, if ever, have encountered the situation, but I seriously doubt you’d let that stop you from getting your property back. Absolutely not. It’s their property, and they may do with it as they see fit. If they’re willing to drive a vehicle unsafe enough that I’d want them to sign a waiver to take it, then they’re too dumb for me to really help anyways. I’m not here to scam you; hell, I’ve got all I can do fixing actual problems without making more trying to keep a car from some bumbling idiot that brought their car to a person they apparently don’t trust. If they cannot afford the repair, usually there’s some way to finance a way to at least make the car -safe-. Whether that involves holding it on the lot for a few days while they get their money right or whether they take out some credit to get it repaired… doesn’t really matter. Not like the car’s useful in its unsafe state anyways. hi mr.haly its jordan i think the same thing that they sulohd fill in the potholes in pittsburgh on my street there was a lot of potholes but people complaned and they came and filled the holes.i hope they fill the rest of the potholes in pittsburgh. I dont known about other states, but in California if you hit a pothole that damages your car, the city your in will pay for the repairs. You just have to go through the correct channels. Its on the basis that your vehicle taxes are paid for road maintenance so the fault goes to the city for not maintaining a road that you paid them to repair. This is definitally a fact, as I saw the process work for a customer at a shop I worked at. They took pictures of the damage, pothole, and repair estimate, and had a check in a couple weeks. It was pretty cool, I had no idea about it until this, so they must keep it under wraps. This happened today. I noticed an intermittent problem with my brakes. I had them inspected three weeks ago by my mechanic that I have had for 4 years and is reliable. He did not find a problem. However, I had a coupon so I got my oil replaced and had them do a brake inspection and they showed me that there was some brake solution on the right caliper. It was a mild problem but needed to get fixed. I can use my brakes. The only problem is that once in a while, the initial brake step does not work initially and the second ALWAYS works. One more second. The new place agreed. However, after the shop saw that they could make over $450, they changed their mind. After a two hour wait which was promised only 30 minutes. I told them after an hour that I would deal with this later but they left my car disassembled. Assuming I would change my mind. I had to leave and thought the price was higher than it needed to be so I requested to depart. As I was leaving, then this new manager of a big oil change place wanted me to sign a release that it was unsafe to drive and leave the car with them. I must fix it there even though he had orally told me that it was drive-able earlier. When I told him that I would work with my mechanic then the owner threatened to call CHP and told me that he would not release my car. He told me to sign it with threatening information that he had written that was clearly not true. I recognize that he did not want responsibility which was fine. But then he said saying that the piston may lock up since he may have taken it off incorrectly and did not want responsibility for doing this wrong which is not my fault. But his huge exaggeration left me with a sour feeling so I told him that I would not sign something that was untrue. He got upset and yelled at his staff not to let me leave. I felt under severe duress and I finally signed it and had to pull it out of the stall myself after a two hour wait. I immediately went to my mechanic who said that it was a tiny leak but he would fix it within two days. My mechanic assured me that it was safe and was not really a leak. He called it brake fluid moisture since there was no drops coming from the brake which is a definition of a leak. I am only driving about 6 miles in the next two days. My mechanic would do the same work for $220 using original calibers at $67 each rather than $100 to $120 each by this other shop. I had done my due diligence with my vehicle and constantly tried to fix the problem. But the other shop threatened me and treated me horribly. I am a responsible driver but this fear and loathing technique used by the huge chain was horrible and unnecessary. I think that fear and threatening can be used to extort money which is plain wrong and illegal. I agree if it is unsafe to drive but when large shops use this to extort money, this is WRONG. Release liability of the shop and say fix immediately. If the police do get involved besides driving my car, am not sure who would they believe a lying owner of oil change franchise or me. It gets very messy and time consuming. To me a law that allows a mechanic to keep a car allows fraud. I wish that there was an easy solution but some people are irresponsible drivers and greedy repair shops there is no easy solution. All I know was that I was wrongly treated. As a mechanic I had two of these situations in the last week which led me here researching. A car last week wanted an alignment because it was “a little woobly”. I put it on the lift and found that the rear hub and bearings were shot, to the point that the only thing holding the wheel on were the caliper mounts along with a lot of front suspension issues. Made my recommendations, customer refused and customer drove away. Really bothered me morally that the customer was able to drive away like that. Today, customer changed his own brakes and buggared something up trying to bleed them and was requesting a bleed and flush only. Vehicles pedal went all the way to floor, limped it into shop to find it had new pads but rotors were below discard, hotspotted to the point of holes, and cracked. I refused to bleed and flush unless rotors were replaced and would most likely needed a new master cylinder. Customer refused and I was told to back it out for customer pick up. I understand not being able to legally hold a car, we wouldnt want it taking up space in lot or shop, but both of these should have only left on a tow truck. Both vehicles had carseats for kids in them. I have kids as well. I just dont understand how people are legally allowed to “drive away” in cars I have to limp into the shop. It scares me. Guys, really, this in none of your business! It’s a matter of law and enforcement. You must call the authorities IMMEDIATELY, as soon as they give ANY indication of taking the car without a tow truck. If a customer insists on leaving, you cannot stop them, unless the law requires you to. Then, you MUST act. If the law does not require you to, you tell them they are in violation of the law and subject to arrest, for knowingly driving a dangerous vehicle. You treat them as someone who just stole a loaded gun and is leaving a gun shop. There’s really no difference. And, you’re NOT the cops. In any case, your job is done. No worries. So you lie to them? Driving a dangerous car is NOT an arrestable offence, and no law enforcement is going tobtell you to detain the person. Your living in a fantasy world. OK, how about this scenerio. My husband took his collector convertible Mustang into a shop to just have some of the dash gauges fixed and trim installed. They did a crappy job, by any standard. Scratched the trim and used THREE different types of screws to install it!! But while it was there, they put it up on a hoist, and claimed that the torque box was in bad need of repair on the passenger side, refused to let us drive it off the lot, saying it was unsafe. So we arranged a tow truck to bring it home. The repair shop then refused to release it unless my husband signed a document acknowledging it was unsafe but also that he was satisfied with their work. NOT… and then they kicked the tow truck driver off the property when he tried to help us! It may have been THEIR OPINION that it was unsafe, not a proven fact and husband was unhappy with the workmanship and especially with how much that cost him – $1500 for minor gauge work repair, bad trim install and a costly diagnosis he did not ask for! We paid in full, arranged a tow truck, and they still tried to hold his car hostage if he didn’t sign! Coercion or what. So I initialed the paperwork (it’s not MY car) and we drove the car off their property and had it towed home all while being videotaped. We fully intend on getting a second opinion and WILL have the car repaired, if in fact it is needed. What is a “torque box”? 1) Leaking fluid does not prevent brakes from engaging. The vehicle made it to the garage, the mechanic made it back to parked at the shop, so as of yet, it cannot be assumed a dire danger. Further it is implausible that the car would be in that state and brought to the shop if the owner were not intending to repair it. 2) You cannot in fact, presume “it is only a matter of a few miles before the car will loose all braking”. Do not every try to pretend you have a crystal ball that predicts destruction. The vehicle has made it this far! Where would it end ? ” I don’t like that your tires are bald”? “I think you are to sleepy to drive”? “I think you don’t have enough gas”? NO! Don’t try to play God. 3) So we have NOT established that the car is 100% unsafe, that is a nonsensical subjective opinion. All you can say for sure is that it could be safer. Some drivers could be safer than others, some days safer to drive than others, and some roads safer than others. It is not your call to make. 4) It is not a huge liability for a service department. A customer could come in for a wiper blade swap, have their steering rack seize, and get in a wreck then claim the shop was supposed to fix it. To the police the relevance of their story is no different. The shop is liable if they billed a REPAIR for the subsystem that fails, NOT for one that fails which they did not work on, especially if the diagnostic receipt (you know just looking at the car generates THAT bill, right?)!! states clearly on it that the car needs brakes and shouldn’t be driven. 5) The customer has no point about not being told a vehicle was unsafe, even if this were a true scenario. The shop is liable if they state in writing that it is safe, is repaired, not omission of it, not no evidence either way. 6) You mention red tagging and requiring a customer to sign, but no, they don’t have to sign that. They made no agreement with the shop to sign this document, only to pay for whatever billable work you did. 7) I am in full support of anyone who tries to keep someone else’s property by being a nanny, being shot as a thief. Do not ever try to place yourself in a position of power over another person. Someone incompetent enough to have the common sense to realize that, well I think that person is too incompetent to drive any vehicle so let’s just seize that person’s vehicles? No, sorry, doesn’t work that way. Check yourself and stop being paranoid. There is no strong case. Nothing YOU think ever matters when it comes to depriving someone of their property. Remember something, if you try to set the precedent that this can happen, it will just keep people from having shops look at their vehicles out of fear that the shop will try to seize it, and provide a way for dishonest shops to blackmail customers into paying for repairs they may not even need. No, it’s not even subject to debate. You are not granted domain over their property for work you did not do. Simply stated NO because a shop then can ransom your car for something as simple as a leaking radiator cap. Who decides what makes a car safe to drive? Right/wrong safe/unsafe its a poor society that people wont take responsibility. Expecting others or the government to make you responsible is a bad idea. Fixing society is not an easy think and no I don’t think its OK if people get hurt or killed for any reason. if you are dumb enough to intentionally walk in front of a speeding train you will most likely die. Unscrupulous shop owners, stupid car owners our world is a mess and I don’t have the easy fix. I work as a service advisor for 5 years, I would be the guy telling you, that you cant take your vehicle cause its unsafe. I do believe if the vehicle is unsafe to others (not the driver or the passenger), the vehicle should be kept by the shop until the customer can tow it to a safe location. I do not know the laws that govern this, but here’s a short story. Customer has a vehicle that didn’t have any brakes. He drove it to our shop using the emergency brake. I then gave him an estimate for over $1000 dollars, master cylinder, brake pads, calipers, rotors, brake flush and some other stuff. I then showed him what items need to be fixed to make the vehicle safe, a cost of $300. The customer thanked me and declined, then he asked for keys. I told him “No” and eveything blew up from there as would be expected. The customer did call the cops, and when they showed up i allowed the cops into our shop and showed them the vehicle. The cops told our customer that he wasnt able to drive and we would keep it until it was towed to another location. I do understand other shop out there may use this as a way to force someone into a sale. However i think if it can be put bluntly “You cant take this and drive, you have no brakes”, then its reason enough. If it sounds like the shop is trying to make something up with a long explanation and using terms the average person may not understand, its probably a lie to make you buy stuff. Cars needs proper maintenance in order to increase there lifespan. It is really important for us to maintain our breaking system at a regular interval, as they are concerned with the safety. Damaged breaking system could lead to an accident, so if there any type of problem found in the break system, you should immediately concerned with the mechanics. If your break producing some kind of unusual grinding sound, shaking of steering wheel during you press the breaking pedal, or if your whole car is shaking when you are applying break, then take your car immediately to repairing shop in order to avoid any type of damage. Hey everyone. I am kind of in this sitation except as a customer the shop owner DID NOT notify me how dangerous my brakes were. When I dropped the vehicle off I could brake safely. Upon picking it up my brake pedal would hit the floor before stopping. It was snowy out and I slide thru a stop sign not even two miles from his shop. He didnt not notify me of the safety issues and rather gave me an estimate with a price tag rather than a warning. Can he be held accountable? I have the opposite problem. Mechanic did expensive repair, but refuses to check a wheel sensor that the computer is telling him is out. I have no idea why, other than its not a money maker for him. He’s telling me I have to drive the car to a dealership. If it triggers the ABS system, my car will get stuck going under 15 mph and it already happened once before and I was almost rear ended. The problem with laws about holding cars is that it allows shops to strong arm customers into getting work done. Half the shops in the country would be taking advantage of this. Take ball joints for instance. Probably 30 percent or more of the vehicles on the road have sloppy balljoints that could brake. Only a fraction of a percent of these actually do. My point is, where do you draw the line. If you had to repair everything that could be dangerous every time you take a car to a shop, quite a few people couldn’t afford to drive, and it would be because of rediculous reasons. This is one of the stupidest things I’ve read on here yet!!!! You are asking the shop to take a gamble on your car not breaking in a manner that they could be sued for. I do agree that there are some shops out there that may try to take advantage of things but it doesn’t mean we are all crooks. I have personally held cars unless they were repaired or towed. Yes people got mad and I’ve lost a few customers over it but I can sleep at night knowing I did what was right to keep unsuspecting people on the roads safe from idiots that want to drive unsafe vehicles and play god by taking other peoples lives in their hands. Seriously what’s more important driving your unsafe POS or the family of five you could crash into and kill??!! It ridiculous that this conversation even has to happen because people are so self centered that it’s more important for them to drive a car in ill repair instead of thinking of the lives of others that they could destroy.